Some distance away from Athens and hence out of reach for most flotilla fleets is the lovely island of Spetses guarding the entrance to the Argolic Gulf. Spetses is one of the highlights of typical bareboat sailing holidays in Greece and most certainly out of Athens - Alimos marina is the nearest base for yacht charters. Most bareboat sailing holidays only last one week however and then often Spetses island is the furthest point in the itinerary, yet the Argolic Gulf is extremely worthwhile, resulting in loads of two or three week vacations. With motoryachts and larger superyachts - though not with the slower luxurious motorsailers, the gulets - the Argolic is readily visited. Nearly all the itineraries are return trips since the bareboat sailing holidays in both the Saronic and Argolic Gulfs have to start and end in Athens or nearby Lavrion port. 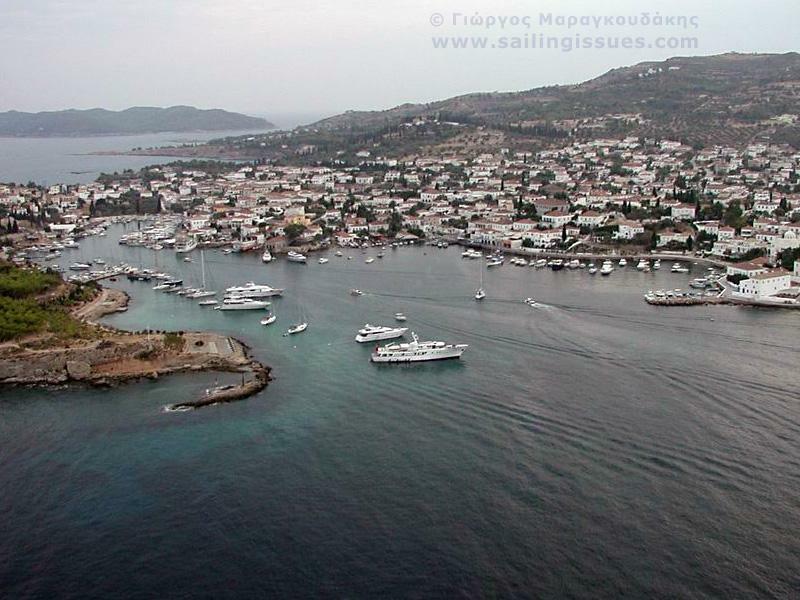 Only few reliable yacht charter firms rent out bareboats out of Poros.